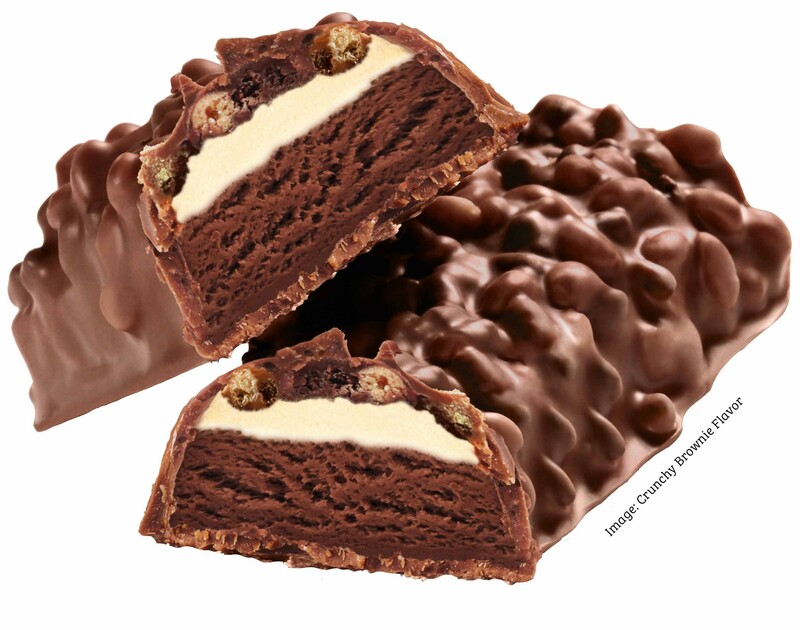 Layers of chocolate, a soft core, coated with premium crispies for a perfect snack. 100% taste, 0% cheat day! Two years of intense research and development of some of the smartes food scientists in the world went into the this bar. Enjoy! Premium milk protein with natural stevia – the best ingredients for your healthy lifestyle. We don't use any added sugar, cheap collagen protein, palm oil, artificial flavor enhancers or anything else that you don't want in your body. Just 170 kcal, 1.8 g sugar and 14 g of proteins per bar. 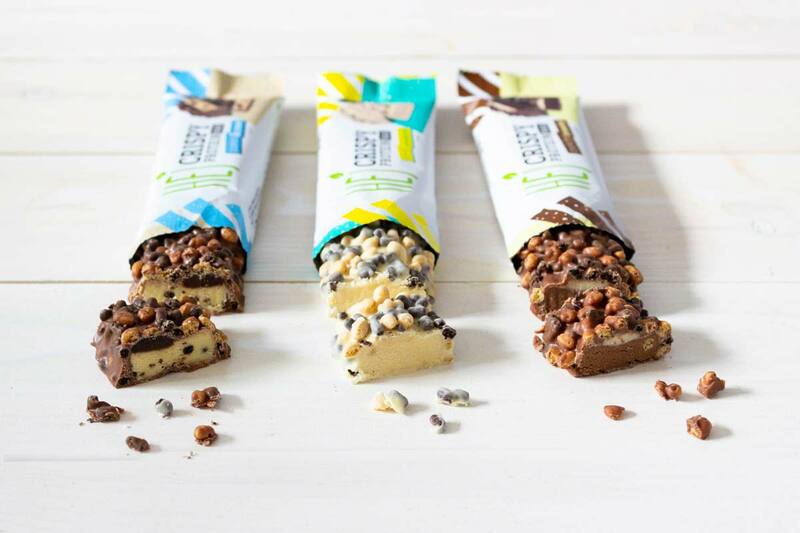 The healthy alternative to every chocolate candy bar. Premium milk protein & crunchy crispies will power your day and help satisfy any cravings. Your new favorite treat! Three great flavors Cookies & Cream, Lemon Cheesecake and Crunchy Brownie, because #everybodyloveschocolate! Protein can be this delicious! "This is incredible! You think you are snacking a candy bar, but the nutritional values tell a completely different story. How is that possible?" 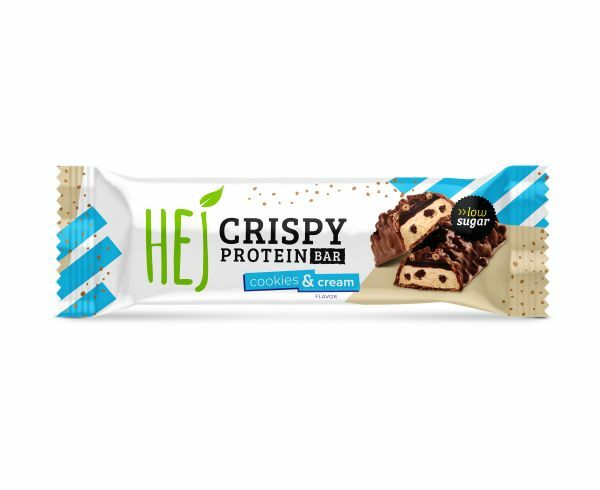 No matter where and when you want your chocolate – the HEJ Crispy Protein Bar will always satisfy your cravings! May contain traces of gluten, eggs, peanuts and nuts.